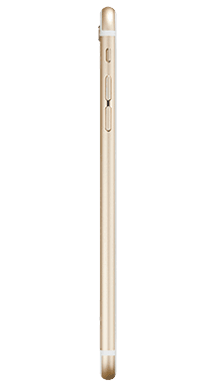 The expert craftsmanship of the iPhone 6 has resulted in a phone that is bigger and better than its predecessors in every way. Despite the fact that the iPhone 6 was released in late 2014, it is still one of the most popular handsets available even today. As one of the most celebrated mobile phone manufacturers of all time, Apple consistently release stand out iPhone handsets that have built them a cult following of loyal customers,willing to purchase the iPhone time and time again. The iPhone 6 was the first smartphone of its kind with the larger screen and since its release, Apple have stayed true to a tried and trusted design that still stands strong today. At Fonehouse we’re still huge fans of the iPhone 6 and believe that it definitely should not be overlooked by those on the hunt for a new smartphone. When the iPhone 6 was first released, smartphone consumers were used to seeing phones that were attempting to be as small and compact as possible, so when the new iPhone came along, with the larger screen and thinner body, it really was the first of its kind. 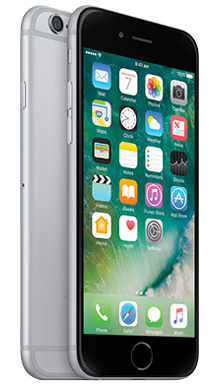 The iPhone 6 is just 6.9 millimetres thin and has a 4.7inch screen to make for a handset that is sleek and sophisticated, as well as light. Despite the larger screen, the iPhone 6 still feels compact and is easy to carry around all day. Unlike its predecessors, the build of the iPhone 6 has been optimised to make using the handset as comfortable and as convenient as possible. The power button is situated on the side of the phone, and the home button acts as a fingerprint sensor - something that was relatively new upon its initial release, and means that your smartphone security won’t be of any concern. The expert craftsmanship of the iPhone 6 has resulted in a phone that is bigger and better than its predecessors in every way. 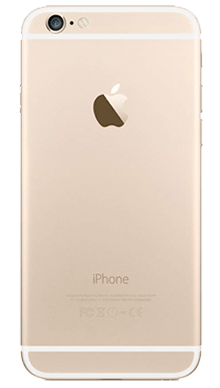 Available in three different colour options (space grey, silver and gold), there is an iPhone 6 to suit each and every individual's style. In terms of durability and protection, the iPhone 6 features Ion-strengthened glass and oleo phobic coating, meaning that this isn’t the most protected smartphone when compared with more recent releases, but the addition of a protective case should see you through to your next smartphone. If anyone ever doubted the new design of the iPhone 6 they have since been proved wrong; the design that we see on the build of the iPhone 6 now acts as pretty much standard and is clearly recognisable in each and every iPhone release since (with the exception of the iPhone SE). The iPhone 6 features the aforementioned 4.7-inch display with a resolution of 750 x 1334 pixels, or a 16:9 ratio. It’s certainly not the most impressive screen quality on the market, and this is perhaps where it becomes increasingly evident that the iPhone 6 is an older model. Nowadays you can easily get your hands on what may be considered a budget handset with a significantly better screen quality. With that being said, the colours displayed on the iPhone 6 are still extremely vivid and details come out crisp and clear, so while you might assume that the display lets the handset down when you read the specs, it’s certainly not a factor that should deter users from buying the iPhone 6. We really shouldn’t criticise the screen too much as Apple have chosen to stick with this particular screen resolution right up to the iPhone 8, so it is clearly a winning formula. The iPhone 6 continues the traditional great quality sound that we’re used to with iPhones. While a lack of hi-res audio support may disappoint some users, it’s not too noticeable when the CD-quality 44.1kHz sound is so impressive. Overall the sound is clear, crisp and rich, and upon release made the iPhone 6 stand out as one of 2014’s best sounding smartphones. That’s not to say it won’t still impress users four years later; you’ll be more than happy listening to Apple Music on your commute or atthe gym, and watching your favourite films and TV shows is a pleasure. The new design of the iPhone 6 wasn’t the only major improvement that Apple made with this handset. They also stepped up their game when it came to the key features and the internal workings of the phone. Possibly one of the most talked about new additions to this phone was the introduction of Apple Pay, a service that allows iPhone users to use their handsets to conveniently make card payments in participating stores. As such a new feature back in 2014, it was initially a somewhat redundant as not many stores were immediately participating in Apple Pay, but nowadays it is a great feature that makes day to day life a lot easier- particularly if you find yourself stuck without cash when you’re out and about. Some users were concerned about using Apple Pay and how secure it could be, but the fingerprint sensor on the iPhone 6 performs well and users really need not be concerned about issues with keeping their details secure. 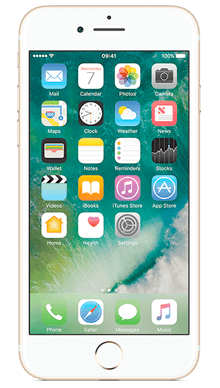 The iPhone 6 features a good quality 8MP rear camera with increased Focus Pixels when compared to its predecessors, for quick focus time. In comparison to older iPhones, there is a notable improvement in photo quality; the iPhone 6 photos feature less blurring and camera performance is significantly better in low light. In comparison to other front shooters on more recent smartphone releases, the 1.2MP front-facing camera won’t blow you away, however, we’re used to the low-resolution front cameras that have become a standard feature on Apple handsets, and after a while, you learn to live with it. In all honesty, we feel that the other features of the iPhone 6 override a poor selfie camera, and it wouldn’t put us off purchasing the iPhone 6. The iPhone 6 was released with the iOS 8 interface but is now upgradeable to more current versions. If you’re a die-hard Apple fan then you’ll be used to using the classic iPhone interface;it’s extremely responsive and you can to choose to increase the size of everything which is a great feature for older users. Apple are known for their impressive processors and the iPhone 6 unsurprisingly runs on the Apple A8 chip. When compared to previous models iPhone 6 delivers a 25% increase in CPU performance, a 50% increase in graphics performance and noticeably less heat output. The iPhone 6 will always standout as the Apple release to feature the most significant changes in design,build and performance and for that reason will always be a firm favourite at Fonehouse. While improvements have been made since the release in 2014, many of the brilliant, innovative features of the iPhone 6 are still featured in each and every iPhone release since. The iPhone 6 features a beautiful design with a build that is surprisingly light despite the larger screen size and is an ideal option for personal or professional use thanks to the impressive performance and powerful processor. We would have liked to have seen an improved camera performance, particularly from the front shooter, as the iPhone 6 can seem somewhat dated when compared to the camera capabilities of recently released budget handsets, but if you’re looking for an iPhone in particular, we wouldn’t recommend buying a more expensive, recent release just because of the camera. 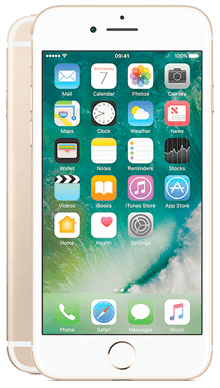 Here at Fonehouse we pride ourselves on providing the UK with some of the best iPhone 6 deals on the market and will always endeavour to bring you our lowest iPhone prices ever. We have some great value monthly iPhone contracts on Vodafone, with fantastic data packages and free texts and minutes. Or, if you’re looking for an EE iPhone deal, we’ve partnered with the network to bring you some great value pay monthly contracts. We also have some amazing cashback deals and there’s loads of extra perks and bonuses to check out with all of our networks. If you’re on the hunt for a new SIM free handset then you’ll be happy to know that we have some great deals on the iPhone 6 and with our great next day delivery service you could be setting up your new iPhone the very next day for no extra cost! If you can’t find the best iPhone 6 deal online or in our stores, contact our team on 0333 900 1133 and our UK based customer service team will be on hand to guide you to the perfect deal for you.